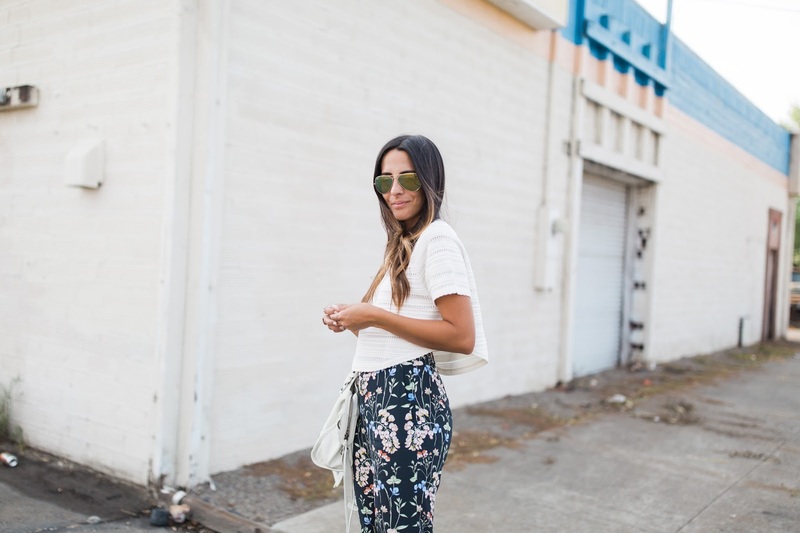 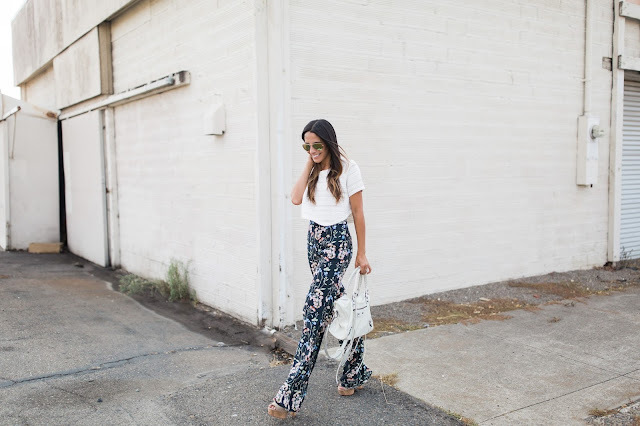 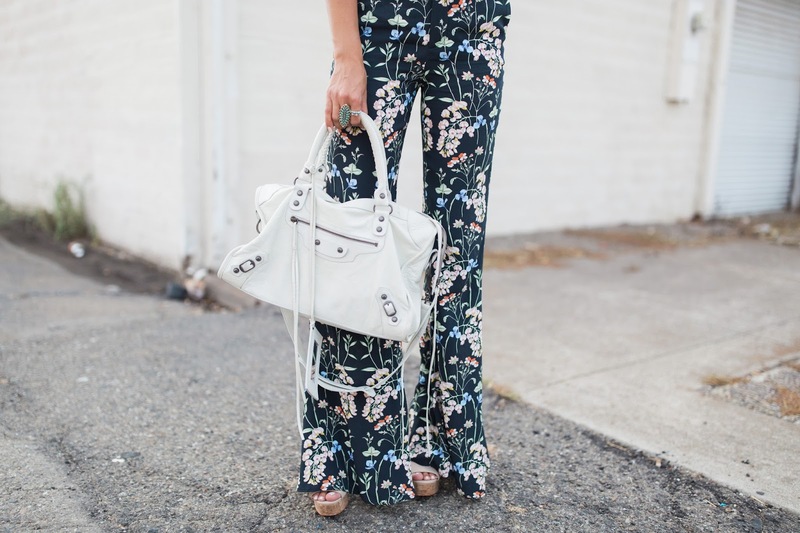 I can't resist a good pair of wide leg pants, so when I spotted this cute floral pair it was a done deal. 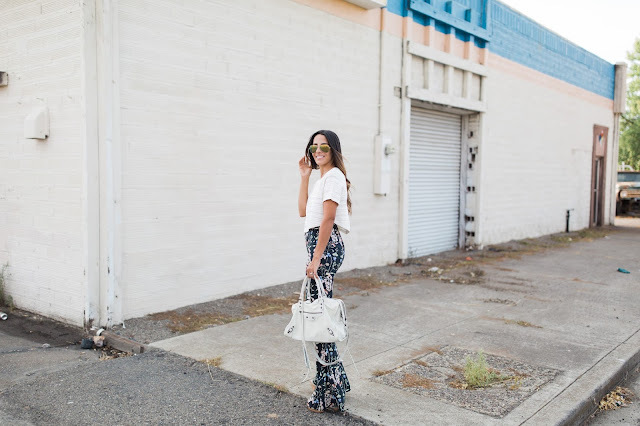 I added my favorite cropped blouse from Marshalls and the tallest platforms I own for some added height. 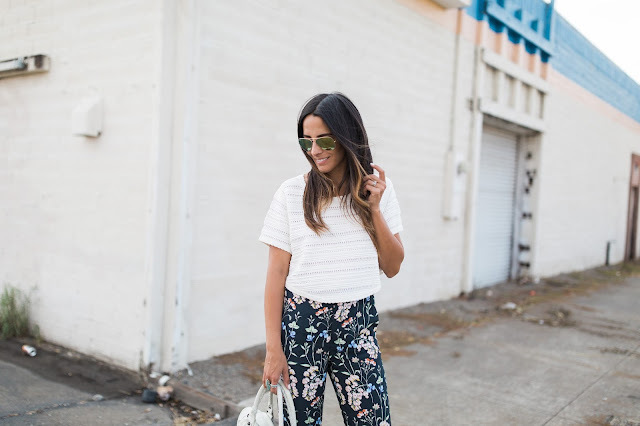 I cant wait to transition these pants into my fall wardrobe with a cute turtleneck or chunky sweater and of course, a leather jacket. I have a fun post headed your way so stay tuned!